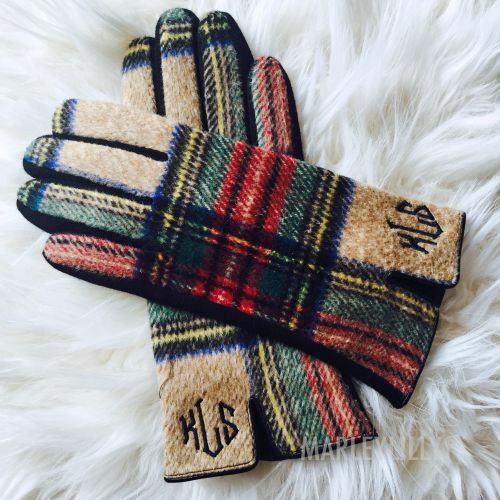 There's something about a tartan plaid that when in one of the most common color ways gives the feeling of winter. I'm sure you're thinking of that same red tartan. It's actually called the Royal Stewart tartan and is Queen Elizabeth II's personal tartan. Tartans definitely aren't going anywhere considering they've been in around since the 1700s. It's classic, preppy, and stands the test of time. It's yet another reason designing your home in classics will never go out of style. 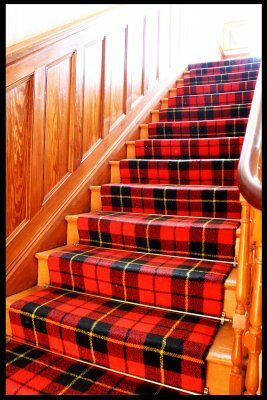 Tartans when used in the home look fantastic with wood tones. Whether the wood is from your hardwoods, to furniture, to paneling. Select the best wood for your space and tartan and expect to get wowed. 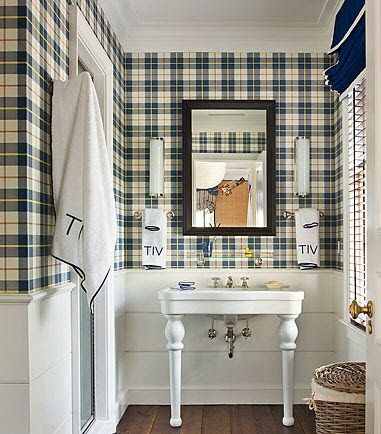 This is such a soothing space, yet has such a punch with the tartan wallpaper. Oh my heavens I'm over the moon for this space. Between those top hats, that sofa with matching cornices and those candy apple red wing chairs. This would be the cutest little boy nursery. An office is the perfect setting for a tartan plaid. 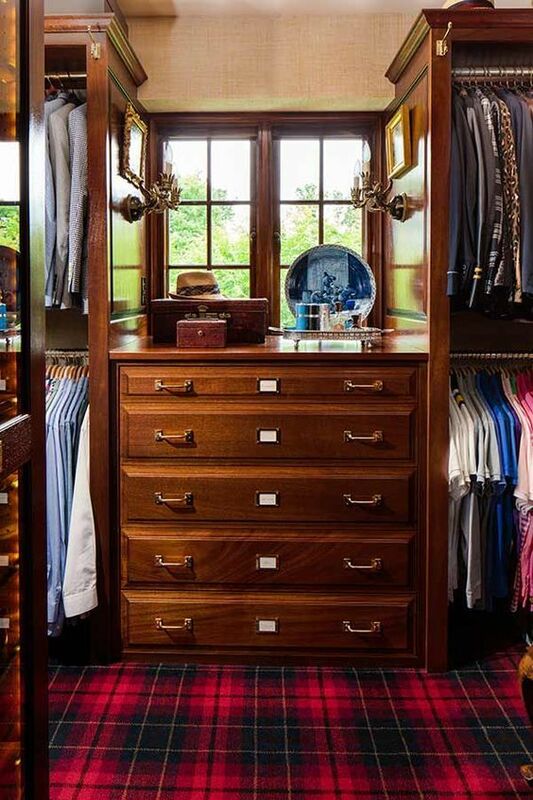 This office is a masculine classic with wood tones, plaid and leather. Scot Meacham Wood Design is a design firm who implements classic, yet fresh interiors to their spaces like this office. this space is an ideal example of how to mix lots of different styles that lead to a harmonious, unique to you, room. 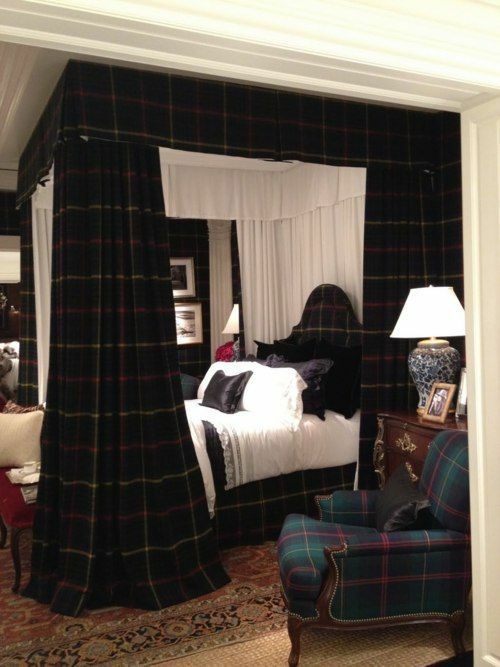 This was a bedroom in the 2015 Kips bay Decorator Show HOuse designed by David Phoenix. It's such a soothing space that would be great for both men and women and will surely stand the test of time. Tartan in a boy's or men's bathroom is a simple choice. It will give such a punch and looks great with white, a common color used throughout bathrooms. Of course I look at this photo and think "if they would paint that wood paneling, handrail and spindles black with white above the moulding this would be a show stopper!" And talk about hiding stains!! When less is more is thrown; out and you get more is more, and it's perfection. Leather and the right tartan meet again and it couldn't be better. Again, this would be a perfect big boy bedroom for a special little man. 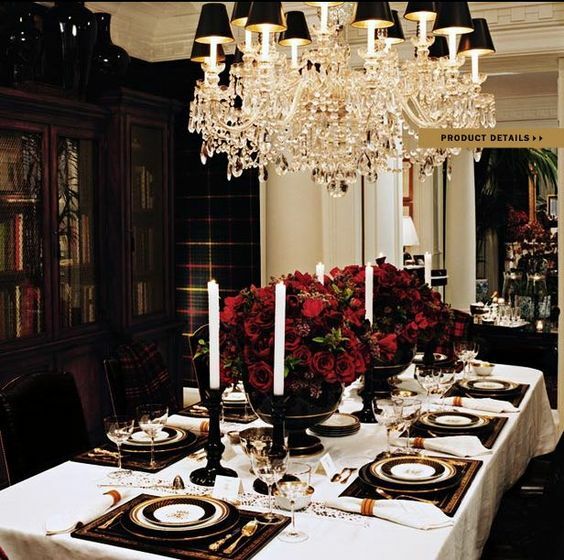 it doesn't get any more classic than ralph Lauren and tartans. As I'm sure you know, anything for the home always makes its' way to fashion. 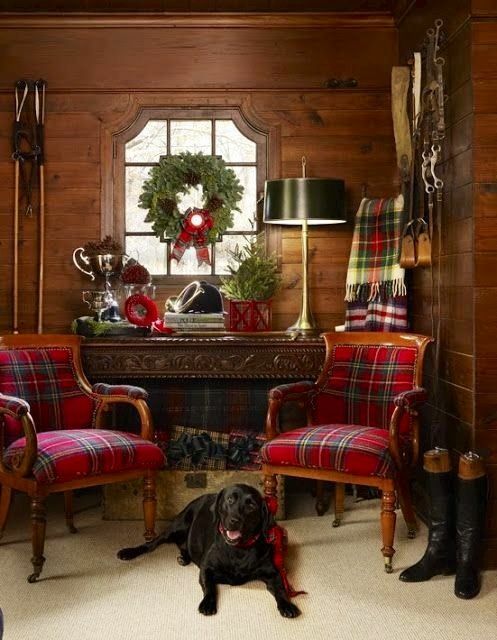 Red tartan plaid is often seen all throughout the Christmas season, but really should be used all winter. Especially if it's in it's native wool, which is how all tartan plaids originated. Ok, if only i had a little girl! Between the bow and the beret I'm melting. Well if this doesn't scream southern?! Couldn't you imagine this with puffy shoulder pads too? But in a 2018 style not 1984 style. again with the ralph lauren. he is an expert in making plaids work in a contemporary setting. he's the official 2018 Olympic outfitter for the athletes. I Can't wait to see what he's designed for the opening ceremony. for my friends who know me, they know this is sooooo me. i tried to get a military inspired jacket this fall and UNFORTUNATELY it didn't fit. But it was nowhere near as special as this.